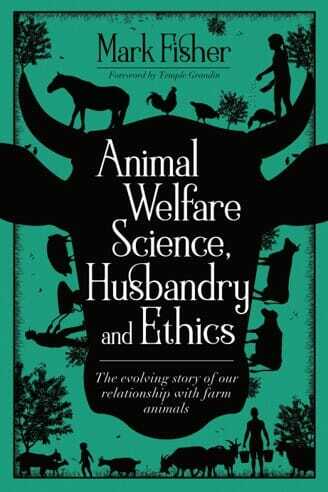 Interview with the author: "Animal Welfare Science, Husbandry and Ethics: The evolving story of our relationship with farm animals". 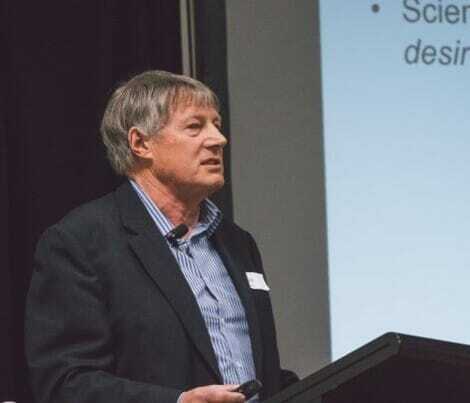 Dr Mark Fisher, the principal adviser for the New Zealand Ministry for Primary Industries (MPI), Animal Welfare Team, and author of the recently published Animal Welfare Science, Husbandry and Ethics, completed his PhD in animal physiology at the University of Nottingham. He has led major research and guided new policy for agriculture and animal welfare throughout a career working across sectors. Coming from an extensive sheep and beef cattle farming background with family still farming, he developed a passion for science and animal physiology and how it can paint a bigger picture – not just improving the economics and efficiency of keeping animals, but also the social and relational side of farming which tends to get lost in the former side of things. The 5m Publishing editorial team sat with Dr Fisher for a Q&A to learn more about his book, Animal Welfare Science, Husbandry and Ethics: The evolving story of our relationship with farm animals. What species does your book include? The book begins with the dog, because it is the animal most of us understand, then goes on to address sheep, cattle, goats, poultry, pigs, red deer, coyotes, rabbits and badgers (there are a few more too). Unlike other animal welfare books, John Webster’s superb, A Cool Eye Towards Eden, and Limping Towards Eden, for example, I have not provided an appraisal of modern farm animal welfare by species. Instead I have used those animals as examples to illustrate the themes of the changing relationship between people and animals, relationships which have changed over the last 10,000 or so years. Those themes include domestication, revolutions in farming, extensive and intensive systems, the consequences of improving animals (eg production diseases), killing etc. Really anyone with an interest in animal welfare but especially students, researchers, policy-makers, farmers, veterinarians and even the media. All have a role and responsibility in animal welfare and, to begin with, the aim is to understand the system, the big picture, the context – call it what you will. There are many dimensions to complex issues like animal welfare (eg political, religious, economic) and in order to progress them we have to understand and manage them. They cannot be solved just by telling the farmer how he or she must manage their resources. I was really prompted by the realisation that if forces from beyond the farm gate are driving some of the practices affecting animal welfare, then perhaps we should look at the potential for changes from beyond the farm gate being used to improve animal welfare. Should farmers be the only ones who pay for animal welfare? Firstly, to recognise the different drivers of poor animal welfare – there are obviously those who take short cuts, as there are people experiencing severe financial, personal and health issues. But secondly, to understand why farmers are seeking to improve their animals, making them more productive and efficient, activities which society is beginning to question with pig, poultry and dairy intensification, especially, under scrutiny. It is this second part which is the main focus of the book – if there are limits to improving animals, what do we do when we reach them? Perhaps there is an opportunity to think about the drivers of intensification (mainly financial) and recognise that farming may need economic incentives if society wants higher standards of animal welfare. Apart from physical differences across species, are welfare/ethical considerations different for each species or do they cross-apply? Yes, as noted above, the considerations apply to all species as they reflect the relationship between humans and farm animals. I guess, rather than differences between species, it is the differences between extensive and intensive systems which I have explored in most detail. Without giving too much away, what should consumers take away from your book, which is to say, what should consumers look out for when buying animal products? This is a really tricky one. I started off thinking consumers could pay more but some may not want to believe, for example, that animal welfare is taken care of by farmers, governments etc. If consumers were to pay more for higher animal welfare products, or be more discerning, we’ll also have the issue of ensuring the premiums go to reward good or improve animal welfare. So, it’s pretty complex. What I’ve tried to do is explain it is complex and that we, either individually, perhaps, but also as a society collectively, must understand that complexity and come up with solutions. Those solutions will inevitably be a mix of market (eg consumers) and legislative changes. But to do so, we have to think about what will be sustainable – having farmers reduced to producing more, and more efficiently, comes up against animal welfare, the environment and farmer wellbeing, and merely telling farmers how they should maintain their resources, be they animals or the land, will not be sustainable in the long run. On the other hand, what should farmers look for in your book? Do you think they’ll find it useful for their overall productive efficiency? Probably little for productive efficiency as such and more to do with acknowledging that the reasons for increasing productivity and efficiency are something which others, and not just farmers, have to address. Animal welfare is both the most talked about subject in animal production, as well as the most taboo for some (thinking about closed-door policies on farms). Where does this taboo come from and do you feel it hinders progress? Many people are put in defensive situations and naturally close their doors. Yes, it hinders progress but the bigger insight is to get everyone to start thinking about their role in animal welfare. It is too big and too important to be left to farmers alone. I’ve described it as human culture, the largely affluent population gaining their food and wealth from farming and that affluence enabling them to question farming practices, driving agriculture. Could we improve animal welfare by harnessing human culture (eg paying a bit more for meat and milk)? Dr Fisher's new book provides a unique insight into the human-animal relationship, and offers guidance and understanding in the drivers of animal welfare, as well as what animal welfare considerations mean for intensive farming. He approaches the complex and multi-dimensional issue of animal production and animal welfare with careful consideration, a breadth of experience and awareness of the various practical, societal and religious aspects of animal welfare and production.